Malin not only wrestles with the knowledge that her mother might not be who she thought—she's also thrust into the path of a gorgeous blue eyed guy named Asher who needs her help slaying the rogue immortal who destroyed his family. The balance of the world is at stake. 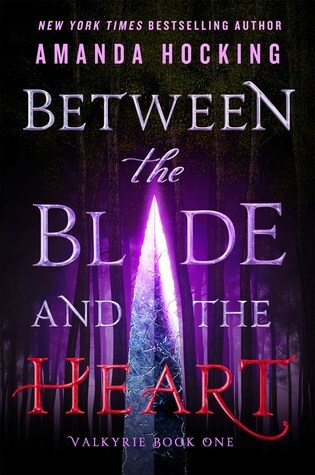 And, as Asher competes with Malin's ex for her love and loyalty, so is her heart. Malin's mission to avenge her mother's murder has uncovered dangerous secrets. As a Valkyrie-in-training, Malin must slay immortals who've had their time, to maintain balance between humans and immortals. But her quest could destroy earth's stability – and unleash chaos. Just when she needs to focus, her friend Asher is in grave danger. He's been dragged into the underworld, where vengeful immortals plot revolution. Malin believes her feelings mustn't distract from her goal – but is desperate to rescue him. 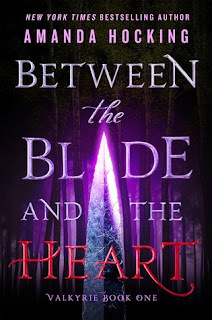 So she ventures into the darkest of realms, knowing she may not survive. With new allies at her side and new enemies ahead, Malin will face terrible choices. She'll have to keep her head – or be ruled by her heart. Oh, I really enjoyed reading these books! 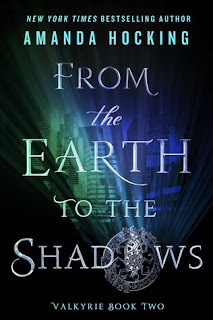 They were in a different world, of immortals and mortals, and I loved the world building! Plus these characters were pretty great, though sometimes I just wanted to shake my fists at them! One big thing was free will, and the fact that the people in this world, they don't have it. Everything that was happening, was pre-determined to happen. On one hand, boo, no free choices and making your own mistakes and wonderful decisions, on the other, you're not to blame for anything that goes wrong in your life. The first book was more about what happens when a Valkyrie doesn't kill an immortal like they're supposed to. Because Malin's mom decided that this one dude that she was supposed to kill was a good person and did good for the world. And boy, were there consequences! The second book continued with those consequences, but there were also the missions that Odin was sending her on, and discovering just how much they could change the world. Some pretty heady stuff, what with the world in chaos, and all! Loved how it all worked out! These books were so great, and I really enjoyed reading them! Reason Why: Love her writing, and they're 2018 Retelling Reading Challenge Books and Prequel & Sequel Challenge 2018 Books and a WoW Books! 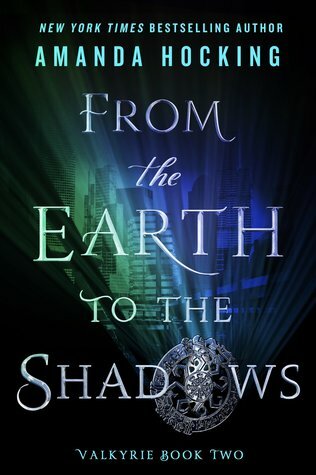 And From the Earth to the Shadows is a End of Series 2018 Book!